Not only is this chocolate an utterly delicious taste of pure luxury, it is also a piece of Fairtrade history as the first product to be awarded with the Fairtrade Mark back in 1994. Based on a traditional spiced chocolate drink from Belize, this rich, dark chocolate has a spicy twist of orange, nutmeg, cinnamon and just a hint of vanilla. For allergens see ingredients in bold. May contain milk and nuts. 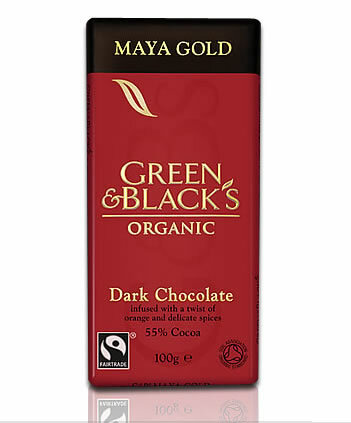 The Green & Blacks Maya Gold - 100g product ethics are indicated below. To learn more about these product ethics and to see related products, follow the links below. 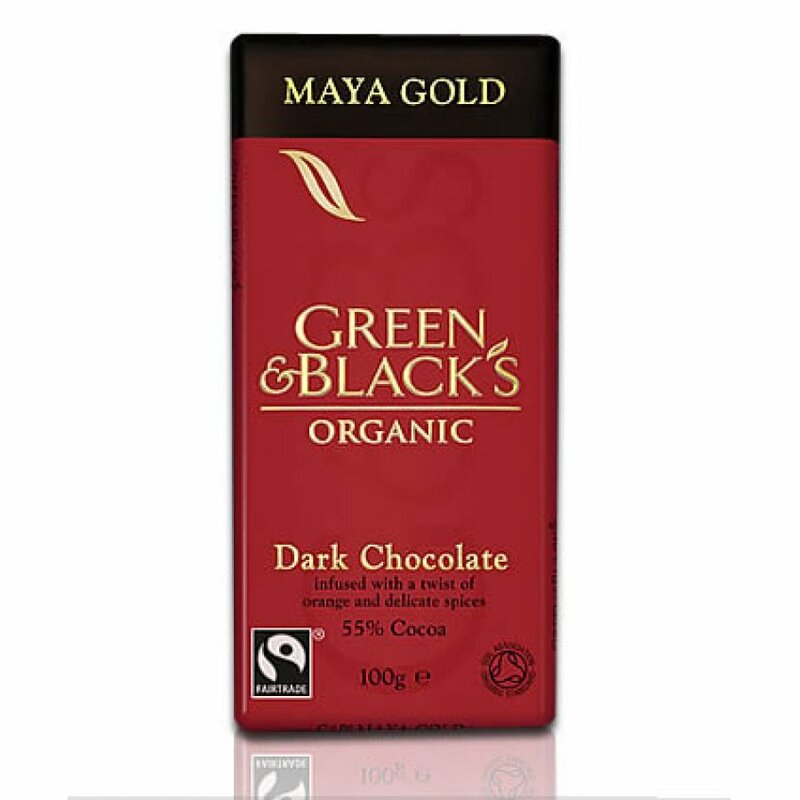 There are currently no questions to display about Green & Blacks Maya Gold - 100g. The Green and Black’s name itself tells us about the company’s founding principles, ‘Green’ representing their organic credentials, and ‘Black’, the rich dark colour of the chocolate. It’s not just a name though, they have created a tasting experience like no other, making these luxury organic chocolate gifts and bars an enduringly popular choice with many chocolate lovers. All of the Green & Black’s products in our range are Soil Association certified. As well as the chocolate bars and luxury gift items don’t forget the Green & Blacks hot drinks and chocolate spread too for indulgent yet organic treats!